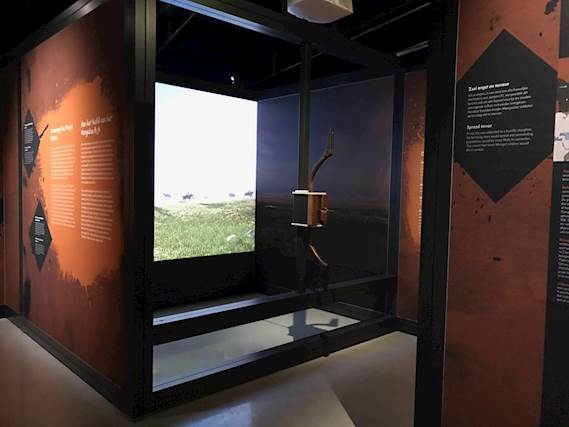 The National Military Museum in the Netherlands wanted an impressive interactive centerpiece for an extraordinary exhibition on Genghis Khan, his descendants, and their legacy. ay-pe designed and developed a game in partnership with New Moon Games that invites visitors to use an interactive bow, simulating the tribe warfare of that era. Installed by Fusion, the game is driven by a high performance PC with an Nvidia GTX1080 graphics card and projected onto a two-meter wide screen from an Optoma X605 ProScene projector. Yong Ding, researcher of China’s Inner Mongolia Museum where all the items on display come from, was glad the exhibition immerses visitors in a gripping way. He said: “Inner Mongolia is a mysterious place with a long history, and via this exhibition we hope to bring a better understanding about the culture and history of Inner Mongolia to the Dutch audience”.